The luminous sheen of a pearl or the iridescent glow of a gemstone are beautiful enough, but a creatively crafted piece of jewelry is truly exceptional. 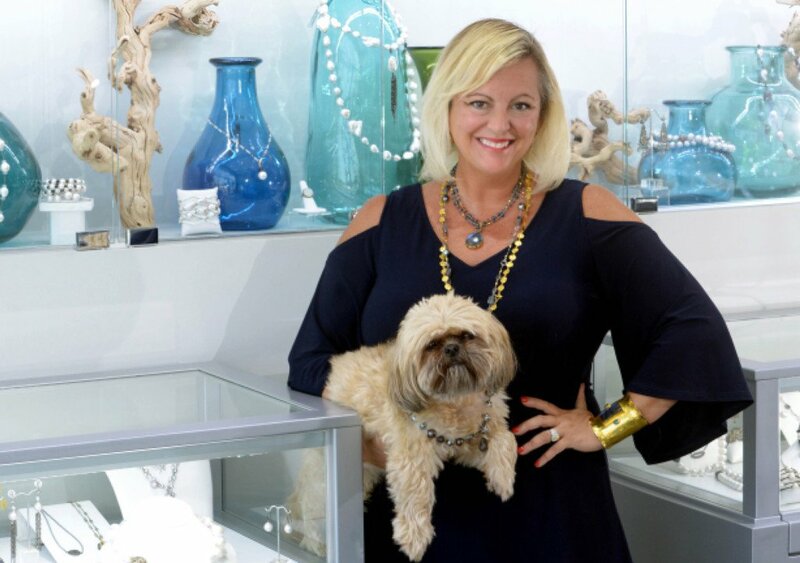 Renee Launiere, owner and designer of Bijoux De Mer, knows elegant, custom jewelry has transformative powers. Looking at Launiere’s exquisite and expertly composed pieces, you would think she had studied the art of jewelry making her entire life. While she always had a creative side and an entrepreneurial spirit, she found herself pursuing a business degree, working in sales marketing with a pharmaceutical company and climbing the corporate ladder. After 15 years, she became frustrated with the bureaucracy of working for a big company and sought to tap into her repressed creativity. She began taking jewelry fabrication and design classes as a hobby, which quickly turned into a passion and became a business. She left the corporate world behind, invested her savings into her own jewelry line and never looked back. In 2006, Launiere launched Bijoux De Mer Fine Jewelry, which rapidly gained popularity in over 60 premier jewelry stores, on the pages of fashion magazines and in a Michael Kors runway show. Ten years later came her proudest moment — the opening of her flagship gallery. The meaning of Bijoux De Mer is “jewels of the sea,” the sea being a significant influence of her work. Launiere selects only the finest materials — sumptuous pearls, rare gemstones and precious metals resulting in pieces that are bold, elegant and always unique.